New York City is known for its abundant arts and culture offerings, and for many, summer is the best time to experience them. With outdoor arts and music festivals taking place all over the city, there is no shortage of entertainment to enjoy. Here are three of NYC’s most anticipated summertime arts and music festivals. SummerStage 2014. 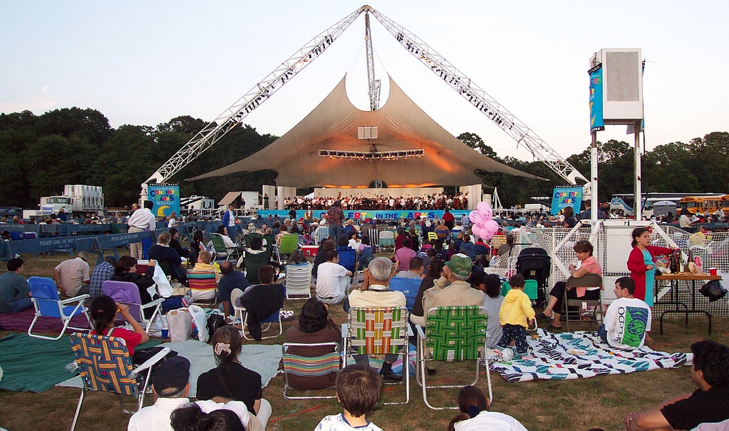 SummerStage is an annual festival that always features an incredible lineup of eclectic musicians and performers. This year should be no exception, and with four different places to catch the festivities – Central Park, The Bronx, Staten Island, and Queens – SummerStage 2014 promises to be one of the best outdoor festivals of the summer. With various concerts and events dedicated to soul, world music, brass bands, DJs, Opera, contemporary bands, and more, SummerStage is defienitely one of New York City’s best music festivals. Celebrate Brooklyn! Celebrate Brooklyn! was originally created as “a catalyst for a Brooklyn performing arts scene and to bring people back into Prospect Park after years of neglect,” BRIC explains. From its 1979 beginnings to now, the festival has featured over 2,000 performers and artists that range from emerging bands to world-famous dancers, all of which impact more than a million neighborhood residents annually. The celebratory festival brings music, film, spoken word writings, theater, and dance to Brooklyn, inspiring a fantastic community gathering unlike any other. 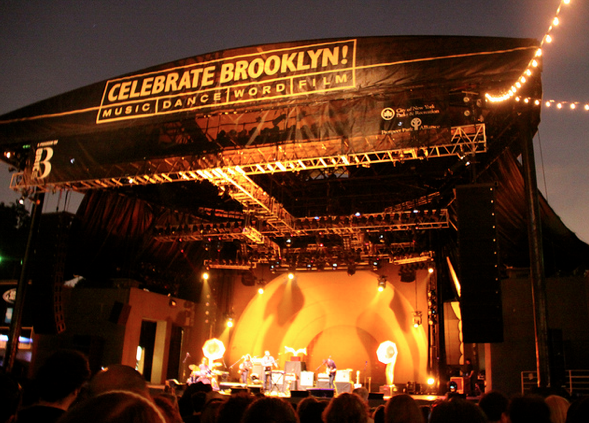 With big names like Neutral Milk Hotel, Jack Johnson, and The National playing for free this year, you do not want to miss out on Celebrate Brooklyn! Prospect Park Bandshell, various dates and times throughout the summer. MoMA PS1 Warm Up 2014. Now in its 17th year, MoMA PS1’s Warm Up festival is an annual series held in the museum’s courtyard. MoMA PS1 is known for its commitment to featuring avant garde, site-specific works, and the Warm Up festival follows suit. According to NYC-ARTS, “the museum’s outdoor series continues its tradition of introducing audiences to experimental live music, sound, performance and DJs.” At $18 for admittance, this special summertime programming is a little bit pricier than some of the others offered in NYC, but with 11 opportunities to experience truly energetic, compelling shows, you’ll want to catch at least one. What festivals are you planning on checking out this summer? This entry was posted in art, Bronx, Brooklyn, music, NYC, Queens, Staten Island, Williamsburg and tagged Celebrate Brooklyn!, Celebrate Brooklyn! Festival, MoMA PS1 warm up festival, music festivals, NYC art and culture, NYC summer festivals, summer 2014 festivals, summer 2014 NYC festivals, SummerStage 2014 NYC. Bookmark the permalink.